KipGrill®, it's so much fun, to make your chicken done! The KipGrill® is a unique barbecue-gadget. Through the ascending hot air from the coals the grill is driven. No electricity, batteries or other power sources are need ed. So no disturbing motornoises. 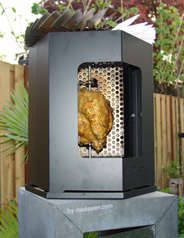 You don’t believe your eyes if you see your spicy chicken turning around his axis in the KipGrill®. After approximately 50 minutes the chicken is well done with a delicious crunchy crust. The grill is easy to change into a true gyros-sategrill. Just change the chicken forks by a RVS spearholder and place the spears in the grill. 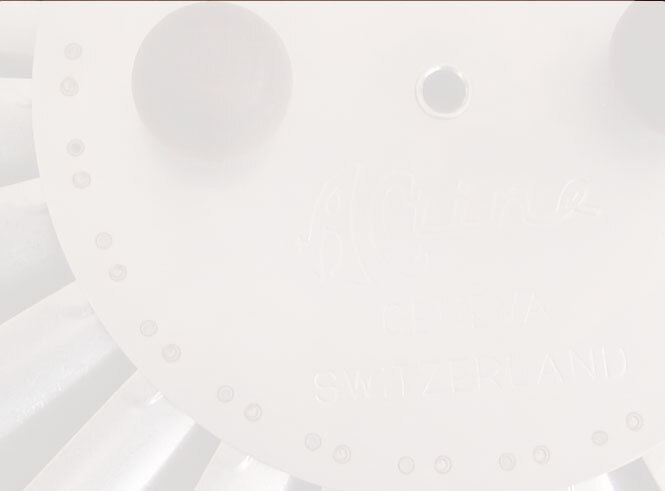 This Swiss finding is made of robust material for a long life garantuee. Easy to clean and easy to store.